What better time to celebrate the valuable role public libraries play in communities than National Library Week (April 7-13)? These centers for community, culture and knowledge come in all shapes and sizes—from intimate local branches to monumental citywide destinations—and have the ability to enhance rural, urban and suburban areas alike. Perhaps this is why today you’ll find more public libraries than Starbucks branches in the U.S. (16,568 libraries compared to 14,718 Starbucks). Libraries have existed across the globe for as long as records have been created and collected. However, the U.S. public lending library model we enjoy today didn’t take shape until 1786, a time when books were still rare, exclusive and expensive. After founding the scholarly book exchange The Library Company, Founding Father Benjamin Franklin donated a set of 100+ books to the town of Franklin, Mass., to ensure residents of all income levels had access to books (opting to give the town books instead of a steeple bell because he found “sense preferable to sound”). While Franklin’s efforts lay the groundwork for public lending libraries, it has taken centuries for libraries to flourish into the widespread, welcoming community assets they are today. This year’s National Library Week theme, “Libraries = Strong Communities,” gets right to the core of why we love public libraries. In our fast-paced, digital world, libraries have become an increasingly valuable place where neighbors can come together to explore, exchange and imagine. Here are 10 more (of the many!) 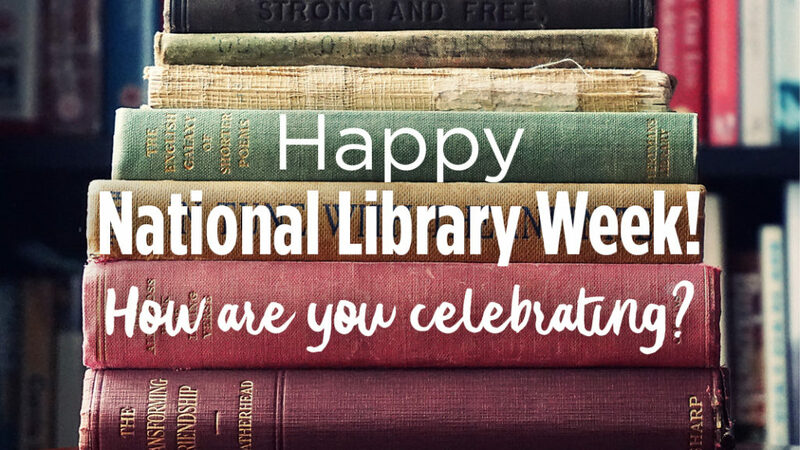 reasons why our public libraries deserve to be celebrated this week! Public libraries are “palaces for the people,” a term for libraries coined by Andrew Carnegie, who was committed to creating places that would help people better their lives. During his life he helped to fund 2,500 libraries around the world—about 1,700 of which were in the United States. Public libraries are community and cultural centers, where people can interact face-to-face and engage in civil discourse. Access to public libraries helps to boost local literacy rates. Public libraries are champions of youth, often offering youth programming created to instill a lifelong love of learning. Once a battleground for the Civil Rights Movement, modern public libraries are now designed to cater to community members of all ages and backgrounds. Public libraries provide essential access to technology (like computers, printers, the internet…etc.) for those who need it. Public libraries are monuments to cooperation and sharing. Public libraries are safe, warm and dry public spaces. Public libraries are places where we build our social infrastructure, or the glue that binds communities together. As you can see, public libraries are critical building blocks for strong, connected towns and cities. They provide invaluable services that support individuals and communities alike. If it’s been a while since you’ve stopped by your local branch, stop by, discover a new book and show them some love during National Library Week! This entry was posted in Beyond Levitt, Holidays and tagged National Library Week on April 11, 2019 by Nicole McGaffey.